A number of trends including tougher regulatory controls, increased transparency expectations, an increasingly vocal patient and greater requirements for post-marketing evidence have driven the growth of medical affairs over the years. This changing landscape is placing new demands on the medical affairs function creating a requirement for clearer process and role definition, increased collaboration with other functions including commercial, clinical and R&D, better understanding of the regulatory and compliance environment, and a more effective way of demonstrating the value of activities. Defining the desired impact for Medical Affairs, deriving metrics associated with those activities, and developing a format for reporting accomplishments to senior management will be essential to demonstrate value. 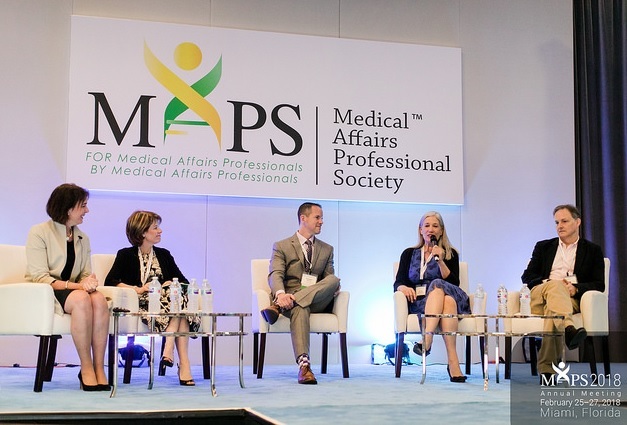 “Showing the value of medical affairs will be very important in that transformation from support function to a strategic partner”, says Charlotte Kremer, Global President of The Medical Affairs Professional Society (MAPS)™, speaking at their annual meeting in Miami in February. For Therese McCall, Vice President, Medical Affairs, Depomed, the elevation of medical affairs into a strategic partner will heighten pressure on medical teams to proactively align with company strategic priorities, demonstrate performance in execution of Medical Affairs deliverables and greater ability to articulate return on investment. “When we start to see shifting report lines with medical affairs reporting to the CMO (Chief Medical Officer) or directly to the CEO, which is becoming increasingly common, there’s a new expectation on what we’re bringing to the table. We’re bringing in more impactful insights, we’re engaging with a broad array of decision makers within our respective marketplaces and we need to realize our role in capturing the ‘voice of the patient’ in the business offerings. Our new challenge is how do we link this more to the strategic conversations internal to our organisations?”. For Ornah Levine-Dolberg, MAPS EMEA President and VP & Head of Global Medical Affairs, Glenmark part of that expectation will be around medical’s ability to understand and interpret shifts in the external stakeholder environment. 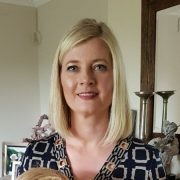 “I think that’s one of our unique contributions, that we can interpret and understand the data and the insights that are brought in from the field in a way that sales reps or commercial cannot, because of our understanding of the stakeholders and their relative importance and influence, and this changing map. Actually, this shift in the stakeholder map is something that works in our favour. It furthers our cause to be strategic partners, because now we have people like pharmacists and we talked about having the patient voice and the change in the role of the physician. We can understand these power changes”. Being an ear to the ground will ultimately lead, Levine-Dolberg believes, to an elevation in status of medical to strategic partner. “I think it hasn’t happened yet because it’s a work in progress. We’re on a journey, we haven’t arrived yet. But I think all the signs indicate that we are going to see medical reporting more and more directly to the CEO and sort of whispering in the CEO’s ear to make those crucial decisions about the mapping, the way the world looks, interpreting the field for the CEO”. How can medical affairs measure impact? As the medical affairs function continues to grow in stature and the marketplace evolves, defining key performance metrics and utilising them effectively will help leaders to create high-impact organisations that drive results. For Simon Mason, Chief Operating Officer, Medmeme, being performance-driven is crucial. “I think measuring impact has really been the game-changer in this business: understanding what you’re doing, what the competitors are doing and then starting to work as a strategic function within the organisation to determine not just what have we done, but where do we go, how do we make decisions moving forward, who do we work with, which stakeholders do we get involved with in terms of disseminating the science. One of the main issues historically has been just staying on top of all the relevant science presented at global meetings and congresses. If you don’t have a mentality that you are trying to improve and trying to measure success, then you’re not going to succeed. If you can’t document your successes in terms of impact, in terms of outcomes then you really are just a support function”. Big data toolsets can help Medical Affairs teams make the leap from a supporting function to a central, strategic, customer-facing one by enabling then to identify the right Key Opinion Leaders; facilitate high quality, evidence-based information exchanges with them and other stakeholders, and feed valuable insights back into the business. Medmeme is leveraging the largest set of published science in the world so medical affairs teams can validate their activities, via a concept known as Share of Scientific Voice℠ (SoSV). SoSV is the collective number of times a manufacturer’s drug or molecule is noted in the scientific literature and it can be a critical factor of success in the years leading up to the launch of a new product. With its counterpart, Share of Scientific ImpactSM – a quality score that measures the impact of any given piece of scientific dissemination – Medmeme’s platform helps transform complex, and often chaotic, sets of global data from tens of thousands of different sources into current, credible and actionable intelligence, allowing Medical Affairs teams to align across geography and function, reduce duplicative data spend, and most importantly, measure the results of their scientific dissemination efforts. The true value of any function is performance. Next-Generation Medical Affairs will be able to demonstrate performance in scientific data dissemination by quantifying and qualifying its share of scientific voice. 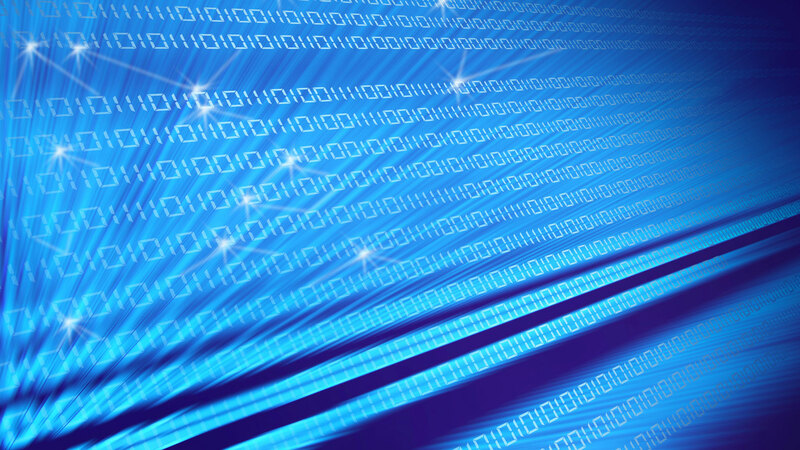 The adoption of big data toolsets has huge potential for the pharma industry as companies vie to dramatically improve the health and longevity of patients worldwide. “As Medical Affairs moves from a support function to become a strategic competitive advantage, the ability to make objective, data-driven decisions will speed that transition. We capture all scientific disseminations on a global basis – we’re tracking well over 14,000 meetings per year at this point and over 10,000 reputable publications – and that data is coming in before it actually gets presented so we actually know what’s coming ahead”, says Mason. What is more important is to use data to inform the decision-making process. “The decision-making is no longer anecdotal but data-driven. Having access to the right scientific data at the right time and knowing which experts to approach or meetings to attend can make the difference between the success and failure of any product. The data gives pharma the ability to work faster, achieve more and play an increasingly strategic function”. The industry is moving to a new paradigm, Medical Affairs 2.0, where data is driving decisions, making efforts measurable and empowering teams to re-evaluate those efforts on a regular basis. Medical Affairs, being the major scientific external facing team, has become a two-way conduit with healthcare professionals, key opinion leaders, and patients, translating the data generated for a product or therapeutic area to many key stakeholders and in turn, bringing insights from these stakeholders back into the company leadership to inform strategy. These stakeholders are no longer just the physicians treating patients, but are also the payers, providers, and policymakers. “It should be the mission of Medical Affairs to translate the insights and information coming from the five P’s (patients, professionals, providers, payers, and policymakers) into the total voice of the patient & incorporate this voice into the strategy of the company”, says Kirk Shepard, former MAPS Global President and Senior VP, Head of Global Medical Affairs at Eisai. The need for analytics to assess the incoming insights and to evaluate the impact of medical affairs’ actions is critical. “No longer is it adequate just to have quantitative measures of the impact of the medical affairs’ actions, such as numbers of participants in a CME (Continuing Medical Education) event, number of visits to KOLs, visits by MSLs, or abstracts submitted to a conference. If we do not have robust analytics, then medical is blind to the feedback of the true value and impact of our actions with our stakeholders,” says Shepard. This determination of value and impact is even more complex in the current environment with personalised target markets becoming smaller and the increasing number of stakeholders’ medical is intersecting with. “These actions should be measured by analytics and expanded if found to be of value and discarded if not of value. One of the interesting analytics being used to determine the value of medical affairs actions such as data distribution in publications or medical meetings is share of scientific voice. Sophisticated tools are now available that allow medical teams to know the change in Share of Scientific Voice℠ (SoSV) after various actions in the five medical pillars to the various stakeholders”. In order to optimise value, today’s medical affairs professionals require the most detailed understanding of the scientific landscape and their position in it. Analysing the quantity and quality of scientific dissemination through metrics like SoSV will play a part in demonstrating the value of Medical Affairs, advancing the ultimate goal of getting patients the right treatment at the right time. “As the importance of Medical Affairs continues to grow and the marketplace evolves, defining key performance metrics and utilising them effectively will help leaders to create high-impact organisations that drive results. Part of our goal with MAPS is to promote excellence through the establishment and measurement of KPIs, elevating capabilities and delivering value to the organisation and the patient”, says Shepard. MAPS’ EMEA Annual Meeting will take place in Berlin, 21-23 October 2018.